Guys, I need your help! Kindly visit this site and vote for my blog site. 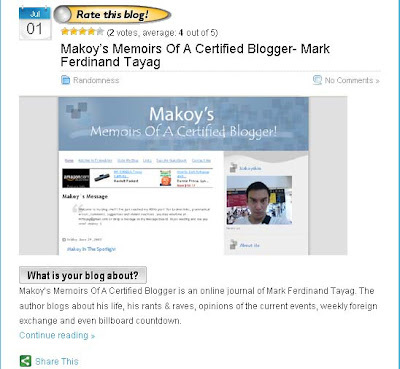 All you need to do is to rate my blog with a thumbs-up or a thumbs-down. You may also leave a comment on my interview in Bloginterviewer.com. Check out also the links on my Vote For My Blog section. Thanks!